THIS SITE IS IN IMMEDIATE PERIL. On September 24, 2012, a consent order was issued by the Fulton County Superior Court that states, “At its next regularly scheduled hearing, the Board of Zoning Adjustment (BZA) shall order … the Director of the Office of Planning to grant SAP-08-024 within 10 days of its hearing.” The issuance of this permit is the first step in acquiring a demolition permit. 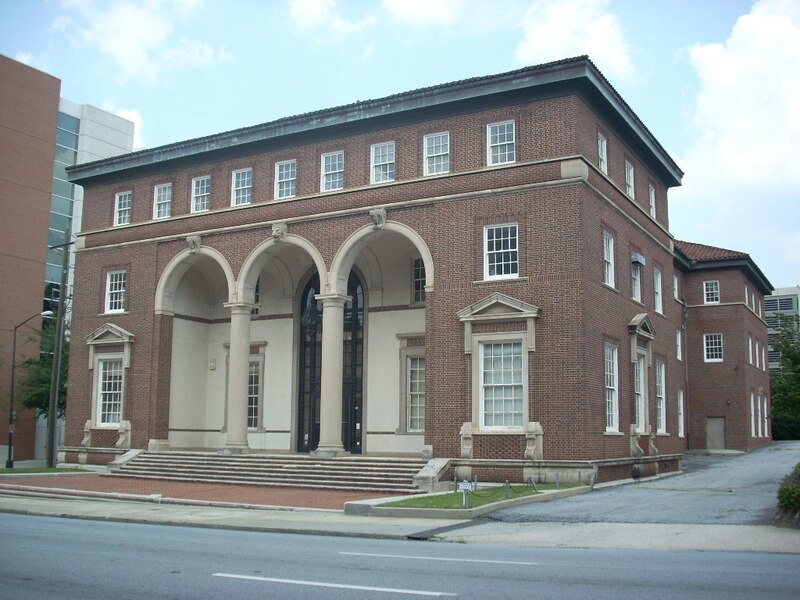 Since this building was purchased by the Georgia Tech Foundation (GTF) in late 2007, GTF has sought both complete and partial demolition. EVERY agency involved that has reviewed this matter has unanimously vetoed against GTF’s potion: City Council unanimously approved the Landmark designation; Mayor Shirley Franklin signed that legislation; a claim by GTF for monetary damages, due to the Office of Planning’s decision not to issue the SAP denial after a lengthy public hearing; the AUDC unanimously denied GTF’s request for demolition after two full hearings and review of hundreds of pages of documents and evidence, including property appraisals and expert testimony. These decisions by City agencies and boards, made over the course of the past four years, were effectively overturned by the “settlement” that was signed by the City Attorney’s office without any court hearing on the merits.